It includes the pair of lenses, a very cute lense case and a small bottle of contact lenses solution. Nice! It's a really nice surprise getting that much gifts, since I only ordered the green circle lens pair. They have a nice color, though I didn't really like green, and I wasn't sure at the beginning, if I really should try the green ones, but I did and I don't regret it. I didn't had any problems putting them in or get them out, they were really comfortable to wear, I wore them 6 hours today and I didn't had any problems, it felt like nothing in my eyes! Also I had false lashes on my eyes - no trouble at all. E-Mail Contact was also really nice, answers were fast and kind! I didn't had any problems about talking to them. 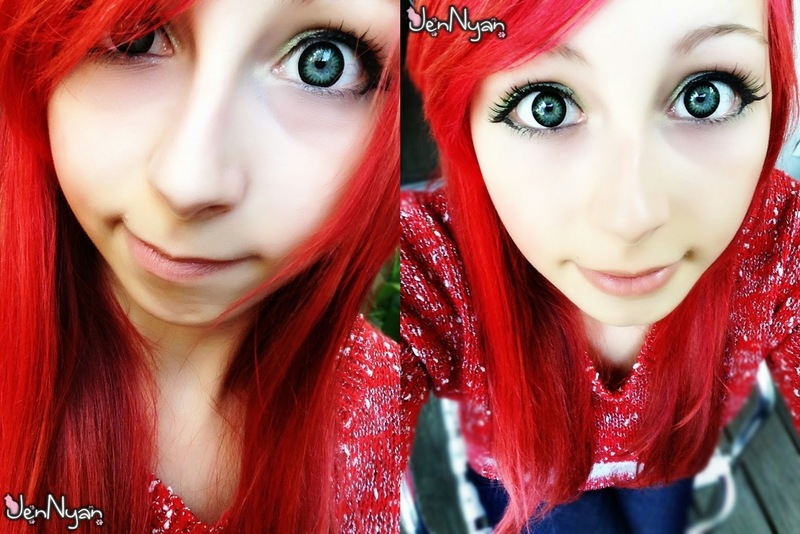 I think it's better for dark eyes who wants to have colorful green eyes! I guess my eyes are just too bright and blue to use them to get the full result of this wonderful green! 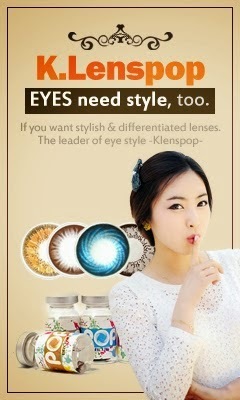 Klenspop is a really nice shop which sells high quality circle lenses, they are kind and the prices are fair. The shipping was fast and the package was safe, + I've got many gifts in it. 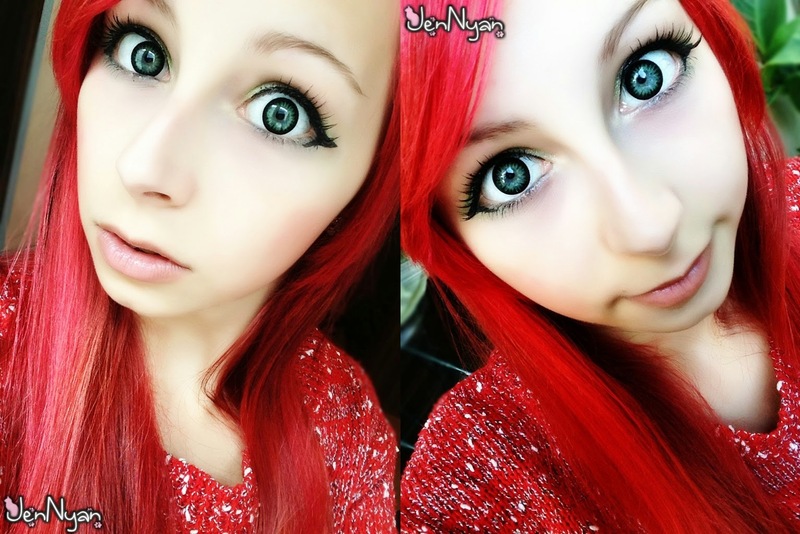 wow *o* so pretty lenses, the look good on you! 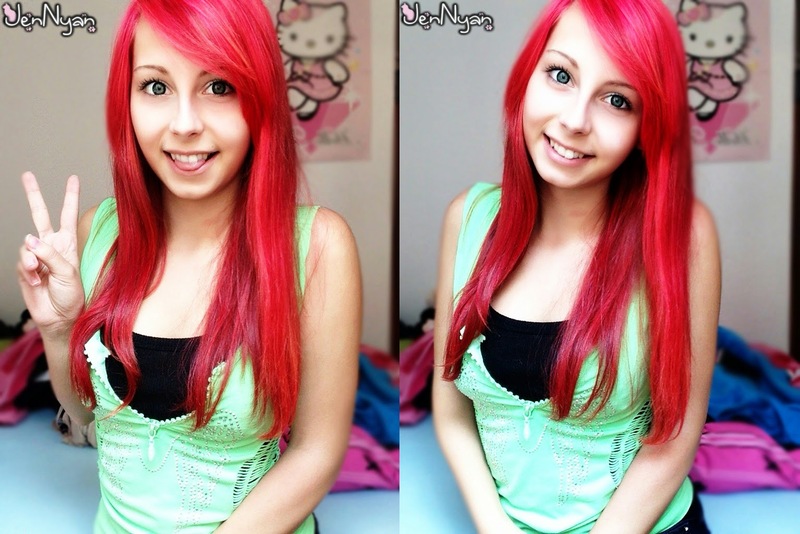 You natural colour eyes is really pretty :3 and your hair too!